You are currently browsing the tag archive for the ‘Maine’ tag. 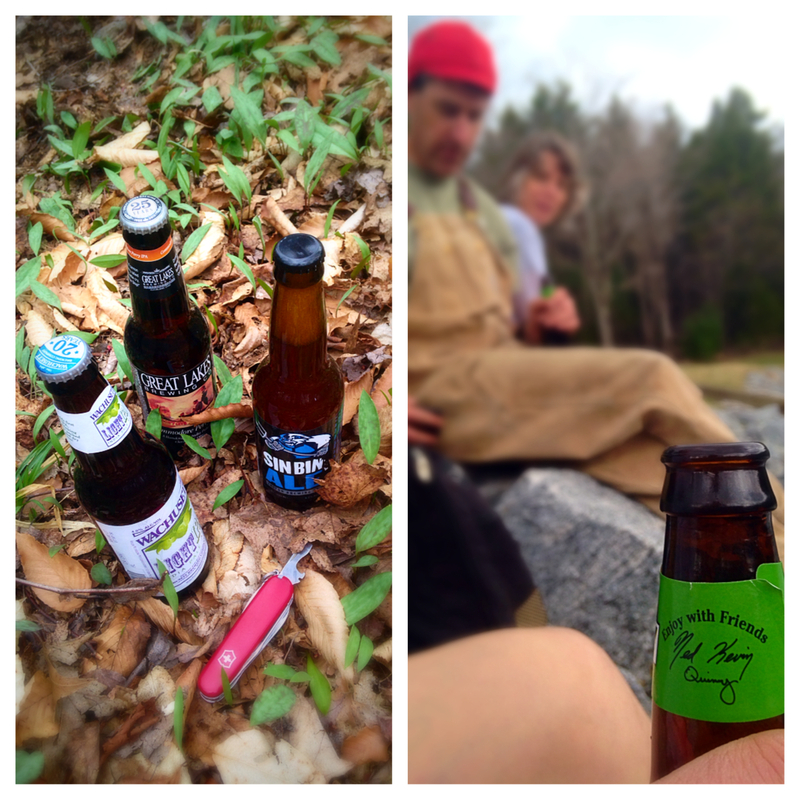 From this year’s birthday camping adventure… a few trailside brews and lots of fantastic friends. (on the right) Following my bottle’s directions and sipping that Wachusett Country Pale Ale in good company and a good view. 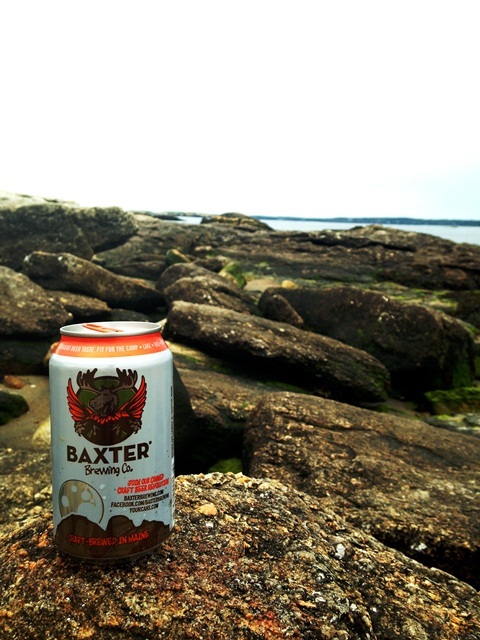 Baxter hits the Beach: a Pamola Xtra Pale Ale went particularly well with a hike along (the brewery’s home-state) Maine’s rocky coastline. Early this fall, after mountain biking, I returned to a Tröegs Hop Knife Harvest Ale nestled beside our car tire by a fellow rider and beer fan, crisp and refreshing with a decent hop profile to satisfy my taste buds, it was a welcome end to the ride… Earlier this year on a group ride during the hotter month of August I found a growler of Rising Tide‘s awesome Maine Island Trail Ale (MITA) shared amongst the crew to be the perfectly dry hoppy finish needed after a tough, technical ride. Generally in the warmer months I’ve tended toward the session ales that have been growing in popularity this year, I’ve especially enjoyed Otter Creek‘s Hop Session and Founders All day IPA. I’ll also generally enjoy a good summer seasonal if it’s hot enough. As autumn colors begin to grace the trees, fall flavors grace post-outdoor cooler… Usually a well-balanced option that’s not too malty or boozy is best for me. A good red ale, like Opa Opa’s Red Rock Amber Ale, or, if I’m lucky, a Trout River Rainbow Red Ale. Night-hiking in winter leads to comparably dark beers (or for a warmer alternative see the 12 Sips post). Earlier this spring on a 10-mile backpacking adventure through a feeder-canyon to the Grand Canyon I was introduced to an ultra-portable potable… stay tuned for a Bonus Pint about that next week!